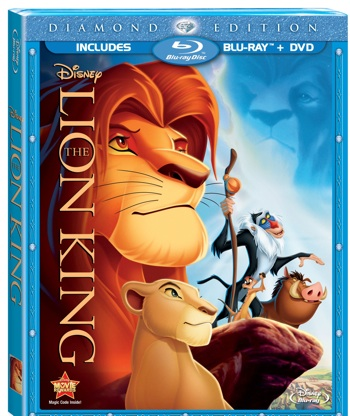 With the upcoming holiday this Sunday, June 19th, Disney would like to wish you a Happy Father's Day on behalf of The Lion King (3D Version in theaters September 16th, and on Blu-ray+DVD, and Blu-ray 3D October 4th)! Who's a better paternal role model than the brave and just Mufasa? And what's a more heart-warming relationship than the one Simba has with his dad? 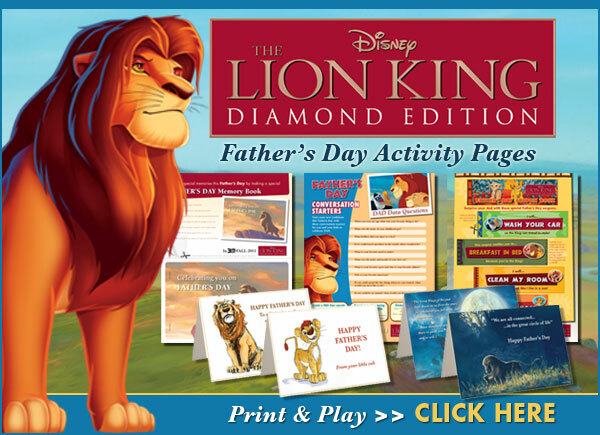 To celebrate, we present you with Father's Day themed activity sheets (click above to print your FREE activity sheets) and father-son themed film clips (below).